The season 2016-17 turned out to be quite long for Moscow, more than 4 months. 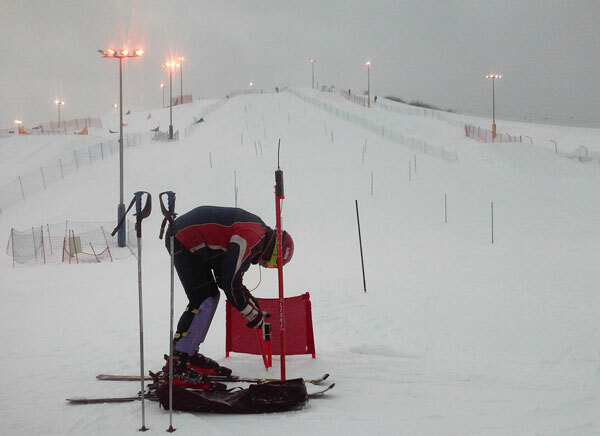 The ratio of training without a course (exercises) and along the slalom poles was 2: 1. The first task for the season was formulated as “shorten the arc”. I found a couple of non-obvious techniques that I want to share. Let me remind you what was discussed. 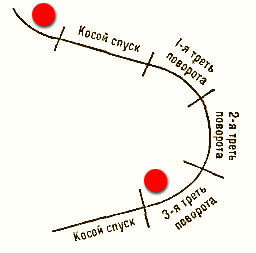 The arc of the ski turn can be divided into three phases: the beginning, the middle (when the skis go exactly down) and the ending. Skis are well controlled when you push on them. That is, under the pressure ski turns in an arc or brakes with scraping, and all this is under control. In a natural way, this is achieved in the 3 rd phase of the turn (in the figure it is designated as the last third). To load the ski in the first and second phase of the turn is the problem. 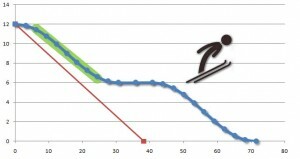 A significant part of skiers, including those who trains on amateur slalom tracks, perfectly manage the pressure on the ski only in the 3rd phase, while the 1st and the second are “swallowed” by unloading (up to the jump). 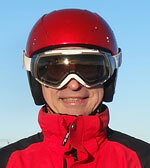 In the notes linked above, it was described how you can apply pressure on the skis in the first phase of the turn. Visually, such a skier can be distingueshed because of round turns. The speed can be large or small, the hill could be steep or sloping, turns are large or short, but turns are round, without inserting straight sections or skidding the skies through the air. I would not like to retell the notes, I will only say that the main difficulty is that with increasing speed and / or reducing the arc, the first part of the turn disappears due to the skis take off from the slope. Therefore, in order to load the skies you need not to lose contact with the snow. Or “almost do not lose”, keep under control. For this, at the end of last season I received advice from the coach – to find the opportunity to move the body forward at the end of the turn. Unfortunately, this does not always happen, in addition to the extra effort it takes time and “distance” on the arc. Nevertheless, the direction of the search was indicated. Especially since skiing along the arcs has already been achieved. I will recall the main sensations. At the exit from the turn, you need to pause in order to extinguish the attempts of the skis to take off from the slope. Then load the upper ski, which from now on becomes external ski. Further (or at the same time, almost immediately), there is a change of edges, after which it is necessary to allow the loaded external ski to start the arc. That is, to sustain one more pause in your actions. 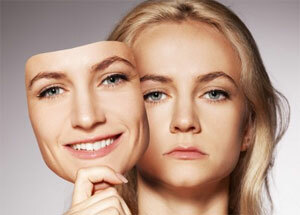 When caught the right move, then joy was mixed with displeasure. That’s how дщтп we communicate with colleagues, among which there is a sky-high level for me. Why did no one ever say how easy to do this? So, instead of all pauses, “bowing and swinging,” you just need to tug your upper leg back when you want to start turning. Then everything happens very quickly. This leg becomes external, and the ski is immediately loaded from the shovel (front part of ski) and therefore begins to sharply, but roundly turn. You just need to be prepared, that the ski rather heavily loaded. In principle, from the point of dynamics-kinematics this is the same as moving the body forward. But in order to move the body it needs to be pushed off from something, or to squeeze out acrobatic skills, if any. And in order to move back the leg no effort to apply, so this can be done instantly, at any time. There are variants. You can first change edges on both skis and continue ride in the same direction, until you start to fall down. And then pull the leg. Or You can not pull your leg, but gracefully move it back. From the side view this movement is not striking. But in any case, when you need to rely on the external ski, it comes immediately. The second tip is about the same, but in a different plane. The fact is that about the same time, when there is re-centering (which was just a speech just now), there is a edge change. That is, the center of gravity (body) needs not only to move forward, to the toes of skis, but also to pass through the edges. In the beginning, the body is higher on the slope than the skis, and after edge change became underneath. You can transfer the body by acrobatic sketches. Or you can not accelerate it at all, everything will happen by itself, but slowly. But the simplest, as it turned out, is to let the skis go upward themselves. That is, “do not throw” the skis at the exit of the turn after stopped pressuring them. Interesting moment, by the way. At the exit from the turn there are overloads, I think that the double weight is in the order of things. Want to throw the skis to the next turn. It’s in the mind. And in the subconscious – just get rid of the ever-increasing overload “before it’s too late”. But if you endure, then the overload disappears (I will not describe here why). And skis continue to turn, and in the internal coordinate system they go up the slope. This is the moment of truth. The body is already below the skis. It does not need to be carried cross the edges. It is only necessary to pull the upper leg back for re-centering and for subsequent movement on the beginning of the next arc. Both elements are natural. Therefore, after come training, I completely stopped noticing whether I do it or not. There were (and there are) many more things to work on.